adf ui | They point the finger at me.. again! 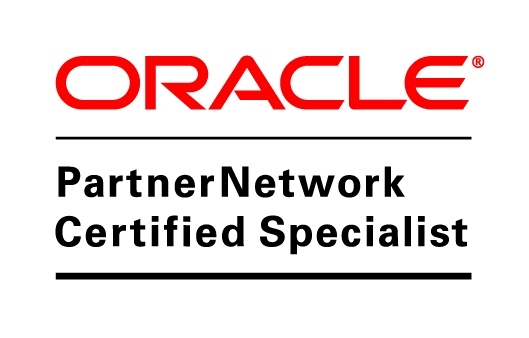 Oracle ADF 11gR2 Development Beginner’s Guide – Published!! This book is intended for beginners who know a little about Java programming and would like to learn how to develop rich web applications using the Oracle Application Development Framework. Chapter 1, Installing and Configuring Jdeveloper IDE – This is the first time you are working with Jdeveloper, Where do you start? – In this chapter you will learn how to install and configure Jdeveloper IDE, how to work with the IDE. Chapter 2, Getting Started with ADF – you don’t know what is ADF? You would love to see a running example – You will learn the basics of Model-View-Controller Architecture, How ADF fits into the MVC patter, learn the components of ADF, building a simple ADF application. Chapter 3, Understanding the Model Layer– Do you know how Business components work, can we explore? – You will learn about ADF Business components and how it works, familiarize with the components..
Chapter 4, Validating and Using the Model data– How will you do validation for your model? Learn how to write business logic declaratively, learn the groovy expressions, and manage transactions and exposing the data. Chapter 5, Binding the Data– Do you know how to expose the model data to the UI layer? This chapter teaches how to use the data control and bind the data for the user interface. Chapter 6, Displaying the Data– Do you want to design your page? You will learn how to display the data in the UI using layers and components. Chapter 7, Working with Navigation Flows– You would love to pass information from one page to another, but how? – Learn how to use the page flows and activities pass parameters and about ADF lifecycle. Chapter 8, Layout with Look & Feel – Do you see your page good for the user? You will learn how to style the page and make it presentable. Chapter 9, Implementing Security – You would love to secure your page, don’t you? This chapter will help in securing the page that you have created, Allow and restrict access for different roles and groups. Chapter 10, Deploying the ADF Application – How do you make your application available to your friend? This chapter will help you deploy the application to the server. Chapter 11, Advanced Features of ADF – Now you know the basics, what’s next? – Advanced features of the ADF11gR2 framework is explained in this chapter. This entry was posted in books, general, packt and tagged ADF, adf ui, beginner, book, guide, packt, published, publishing, tutorial on April 26, 2013 by vtkrishn. 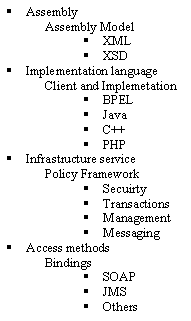 What are all the ways to implement services? 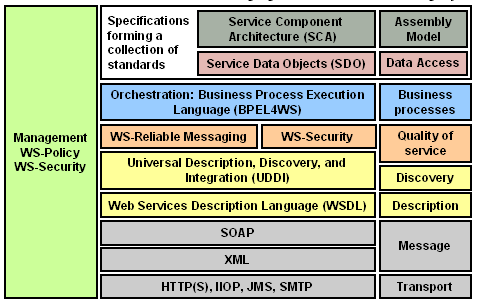 What is SCA [Service Component Architecture]? What are the difference between SOA and SCA? What are the elements of SCA? What is SDO [Service Data Object]? What is EDN [Event Driven Network]? This entry was posted in ADF, ADF UI, SOA, XML and tagged ADF, adf ui, assembly, business event, concept, corba, data, data source, design, driven, eda, edn, event, events, message, publish, sca, sdo, services, soa, soap, subscribe, web service, web services, wsdl, xml, xsd on January 7, 2011 by vtkrishn. 2. Create bean binding for popup as well as outputText. 3. In the getter of outputText, launch popup programatically. This entry was posted in ADF, ADF Faces, ADF UI and tagged ADF, adf ui, dialog, pageload, popup on July 28, 2010 by vtkrishn. whether the action should be done through a partial page submit or not. The default is true for commandToolBarButton, so be sure to specify partialTriggers if content needs to be updated. whether the action should be done through a partial page submit or not. Default is false: no partial page submit; the full page will be refreshed. When set to true, the full page will not be refreshed. To re-render specific components on your page in response to the partial page submit, you have to tell ADF Faces. The easiest way to do this is with the partialTriggers attribute. This entry was posted in ADF, adf components and tagged adf ui, commandbutton, commandtoolbarbuton on May 6, 2010 by vtkrishn.